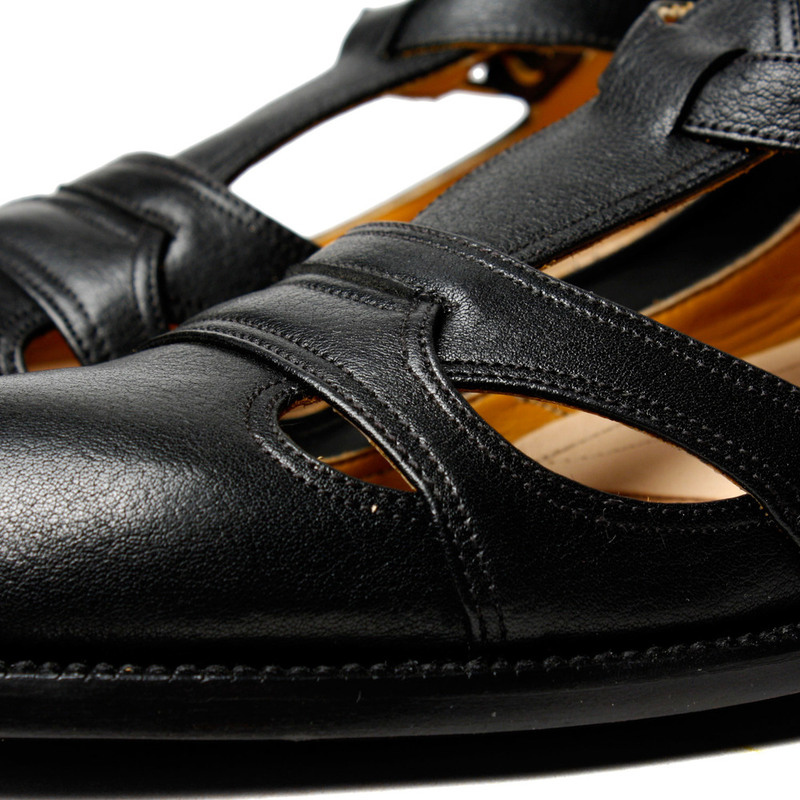 Yuketen’s Summer Leather Sandal is entirely hand-cut and bench-made in Mexico. The fundamental components for this style are full-grain vegetable-tanned leather uppers and a 100% vegetable-tanned leather foundation including a hand-sanded insole, oiled leather outsole and leather stacked heel that is hand-crafted and attached with lemon tree wooden pegs. The entire upper leather is lined with soft-tanned cow leather for added comfort while solid brass buckles guarantee a secure fit. Yuketen’s meticulous Goodyear stitches are made by a sturdy 1910 German-made welt stitcher and all Goodyear stitches are hand-notched along the welt for added security. The Goodyear stitching through the bottom of the outsole leather is sealed to eliminate thread breakage. In addition to their functional and aesthetic merits, these handsome sandals are also some of the most comfortable summer shoes in the Yuketen collection.